I've had the domain zbz5.net for some years now, even though it's been just a holding page for most of the time before I started this blog. Occasionally I've been using it for testing purposes though, and this is the source of my agony. And this is when I make my stupid blunder: I forget to disable the Blog API. I forgot about the test site in its entirety until a colleague of mine pokes me, and asks if I've started doing dubious stuff after hours. 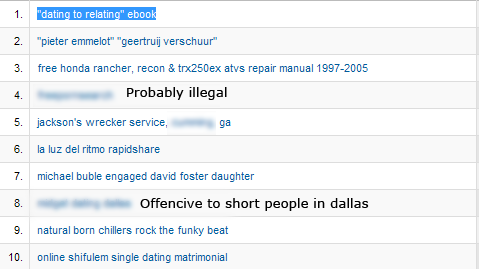 My site was filled with SEO spam, more than 4000 entries of incomprehensible collection of dubious words. Lesson to learn: always clean up your test sites!